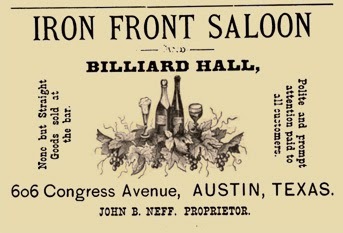 Austin’s Iron Front Saloon was one of the notable “watering holes” of the Old West. Like other Texas saloons, it saw its share of violent encounters but was known for its gracious and well-liked owner. He was John B. Neff, a man who was overshadowed in his own establishment, however, by a man who ran the gambling upstairs, a notoriously dangerous killer. Information about Neff’s origins are scanty. He is said to have been born in August 1850 in LaGrange, Texas, a town in Fayette County about half way between Houston and Austin. One source suggests that he was a veteran of the Indian Wars, but I have been unable to find any corroboration. He married a woman named Adela about 1876. She was Texas born of immigrant parents, father from Norway, mother from Germany. She may have been her teens when they wed. Their union produced three children. Neff came to Austin from LaGrange in 1872. 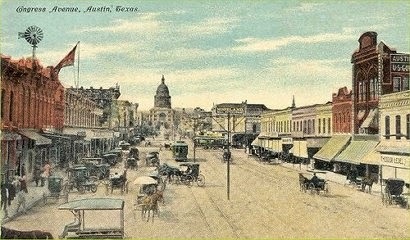 Shown above is the main street, Congress Avenue, as it looked in the late 1800s, Austin was experiencing important economic and population growth. The opening of the Houston and Texas Central Railway in 1871 had turned the town into a major trading center with the ability to transport both cotton and cattle. It was also the terminus of one leg of the famous Chisholm Trail where cattle were driven to the railhead. Austin also had become the state capitol of Texas. The booming economy had fostered a number of saloons to serve a thirsty clientele of cowboys, drovers, railroad men and state employees. First among them all was the Iron Front Saloon. It was located at 605 Congress, established about 1849 by Philip W. Jobe and run by him alone successfully until the early 1870s. Then perhaps for reasons of health he took a partner named Robinson and continued until 1877 when the pair sold out. Enter John Neff who purchased the property with a partner named Harry H. Duff. 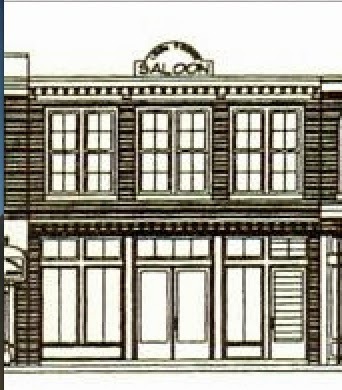 There is only one photograph of the exterior of their saloon, taken around 1800, it shows the Iron Front only as a background for wider view. 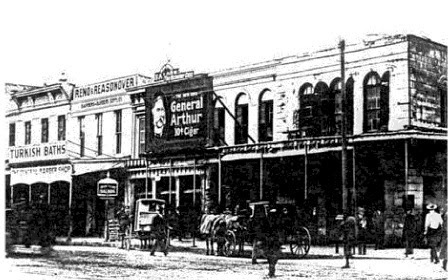 Moreover a giant billboard for General Arthur Cigars blocks most of the upper story and a horse and buggy the lower half. Nor are there interior shots of this legendary establishment. From Sanborn insurance maps an artist has reconstructed what the both the exterior and interior might have looked like. 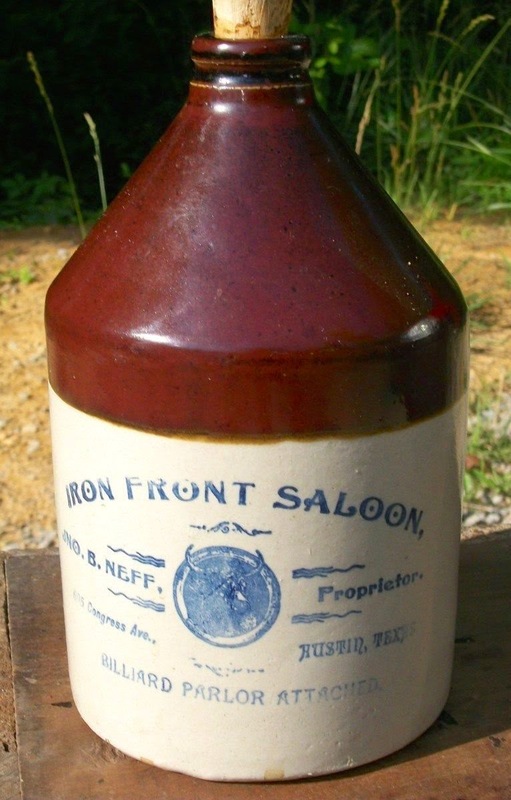 Neff also was wholesaling and retailing whiskey, probably raw product shipped from the East that he likely was blending and compounding and selling in ceramic jugs. 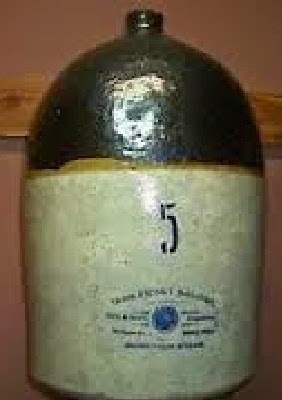 Two are shown here, one of five gallons likely was meant for saloons but he also was retailing his liquor in smaller containers, some with cobalt blue labels featuring the head of a longhorn steer. 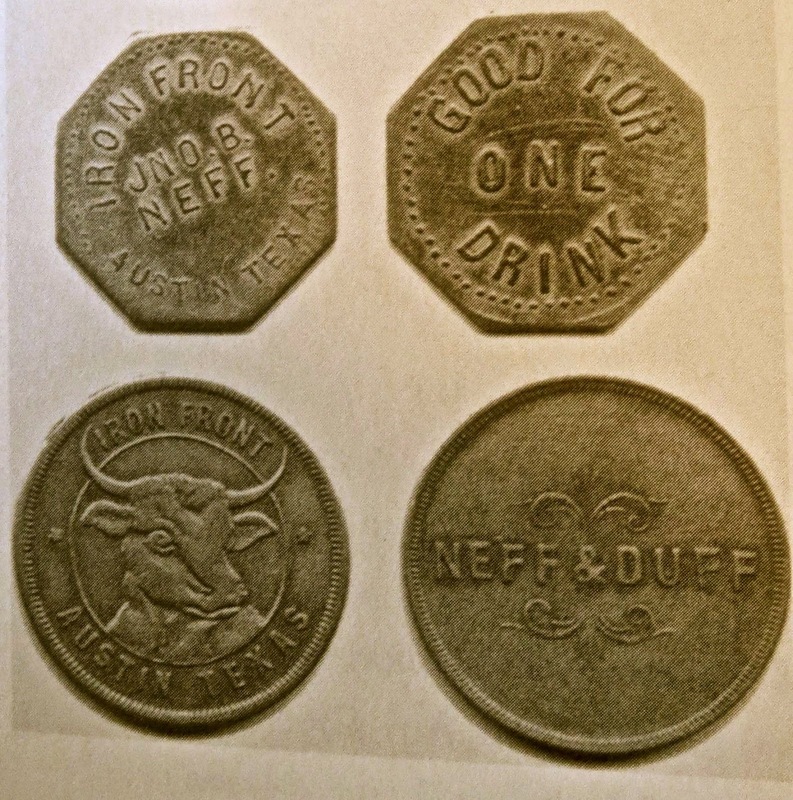 Neff advertised that “Nothing but straight goods sold at the bar,” but did not mention what might be found inside his jugs. Given his standing in the community, Neff’s selection of an individual to run the second floor gambling concession at the Iron Front is puzzling. The game room provided card games like faro, monte and poker but also dice and roulette. The man he chose was Ben Thompson who Texas authors described as “a very dangerous man.” He was a gunfighter with a number of killings attributed to him, quick to anger and reach for his gun, particularly when he had been drinking. But Thompson also had a reputation for humor and for running honest games. Twice he was elected to the post of marshal in Austin. It is said that the crime rate in town dropped sharply during his tenure. Shown here are two of the gambling devices actually used by Thompson on the second floor of the Iron Front Saloon. One is his version of a roulette table, handed down in his family but eventually burned in a home fire. 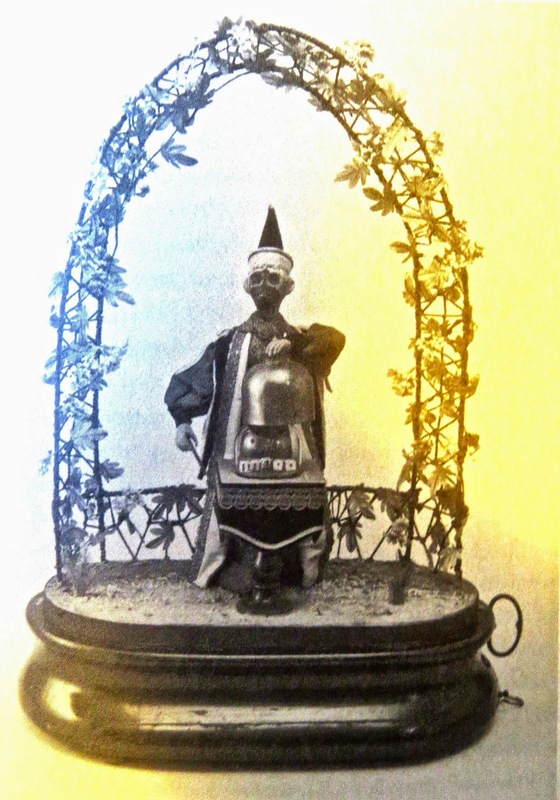 The second is French-made device featuring a monkey dressed as a magician that mechanically shook dice, assumed to be more honest than human hands. Thompson’s occupation was lucrative. As much as $30,000 a month might pass over the tables — equivalent to $750,000 today. Thompson, however, could not avoid violence. In 1881, he had gotten involved in a dispute with a saloon and theater owner in San Antonio, shot and killed him. Although it cost him his job as marshal, he was tried and acquitted of the murder and returned to Austin to continue running gambling at the Iron Front. In 1884 he ventured back to San Antonio, was lured into an ambush, and met with a hail of bullets. Shot in the head, he died immediately. The life of Ben Thompson, the gunman, has earned him lots of attention in later years, including a long Wikipedia entry. Meanwhile John Neff, the genial saloonkeeper, has gone largely forgotten. 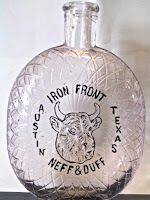 Neff continued to run the Iron Front through the 1880s and into the 1890s, receiving tributes that included the Austin Board of Trade lauding him and his saloon as being entitled to the “prosperity and support” they had received over the years. 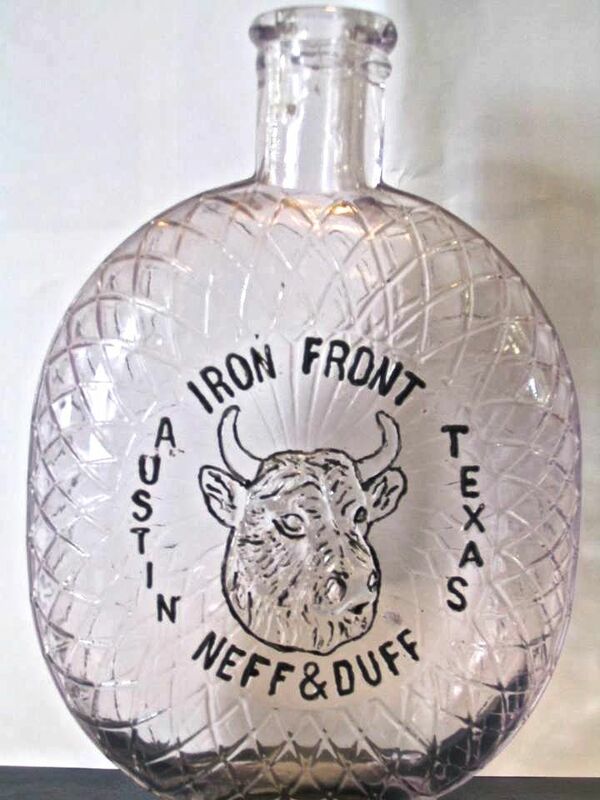 In 1894, Neff sold the Iron Front to new owners. Even after retirement he maintained an office at 605 Congress Avenue, but lived quietly with his family, out of the public eye. In February 1896 while cleaning a pistol, Neff accidentally shot himself, dying almost immediately. He was only 46 years old. He was buried in Austin’s Oakwood Cemetery, shown below, not far from the grave of Ben Thompson. The 1900 census found his widow, Adele, living in Austin with her two adult sons. The destruction of one of the most famous Texas watering holes in order to build a bank building signaled a real “sea change” in Western America. Men like Ben Thompson were disappearing from the scene as respect grew for law and order. Moreover, within a decade saloonkeepers, genial or otherwise, would be rendered an extinct species by the passage of prohibitionary laws. John Neff clearly was the right man, at the right place, at the right time in Texas history. Note: Much of the material for this post comes from the book, Legendary Watering Holes, cited above, particularly from a chapter by Chuck Parsons, a Texan who has written widely on the Texas Rangers and other Western topics. 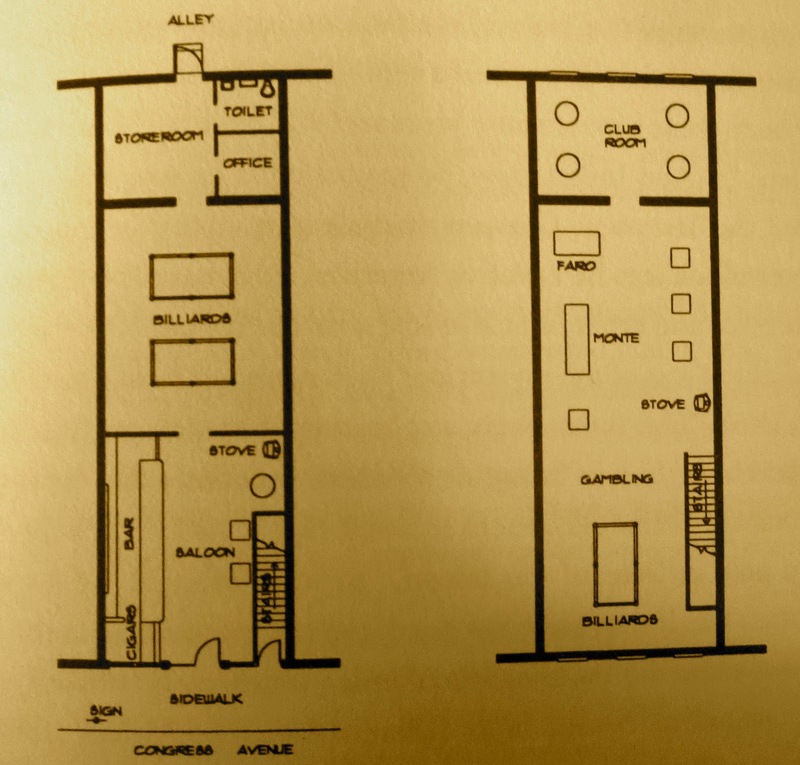 The architectural drawings shown here were the work of Bob Smith.